When hung over a table or in an open environment it creates its own space within the bigger space. That way, the lamp embraces and shelters the table and people beneath it ? both physically and in a more abstract sense. 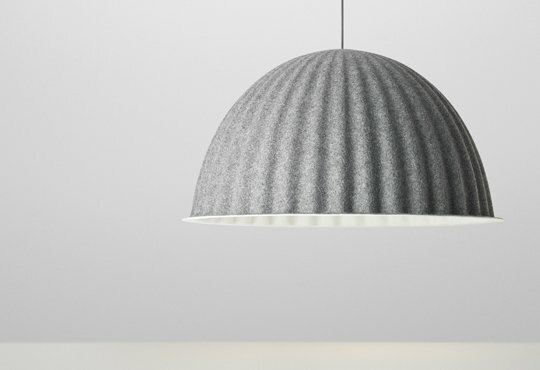 The recycled plastic felt even absorbs sound and helps improve the acoustics of your room.